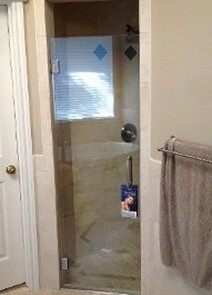 If the opening in your bathroom is 36 inches or less, then a single shower door may be just what you need. 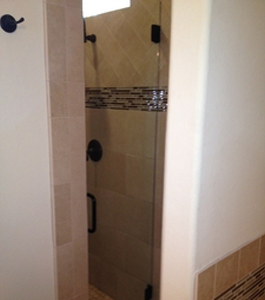 If your opening is larger please visit our Door and Inline Panel page. 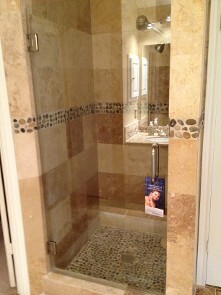 ARC Glass LLC will install one in your home's bathroom, providing the perfect fit for your space. 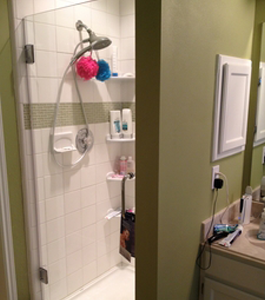 These types of shower doors are quite popular and often found in smaller bathrooms, so if you own a home with not much bathroom space, then we recommend a single frameless shower door. Contact us in the Houston area to learn more.